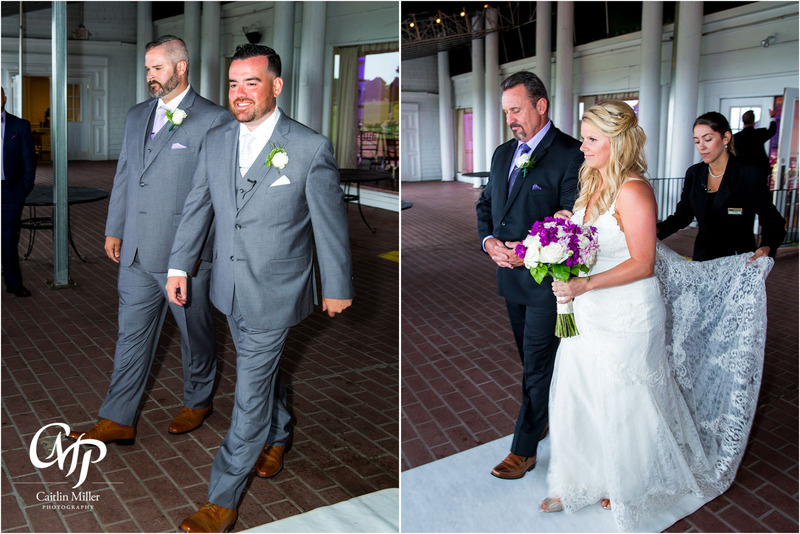 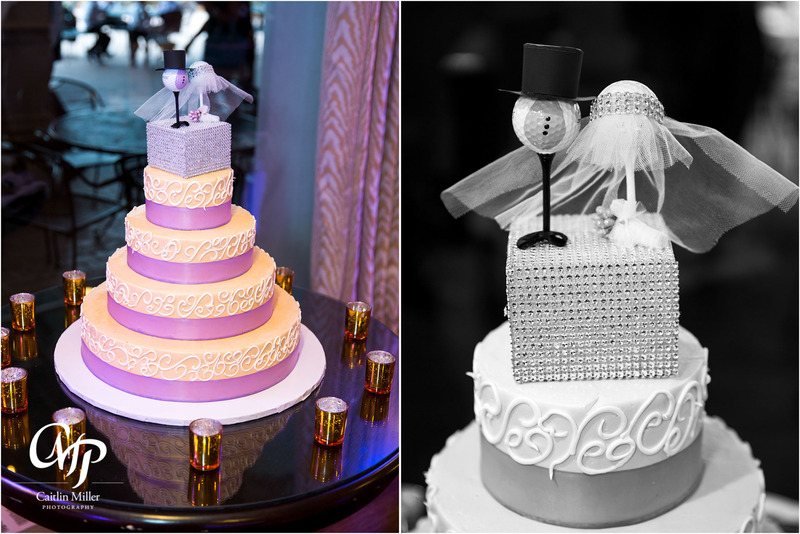 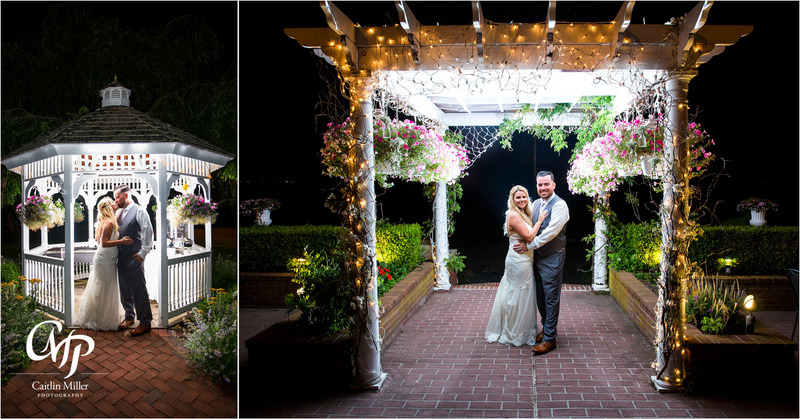 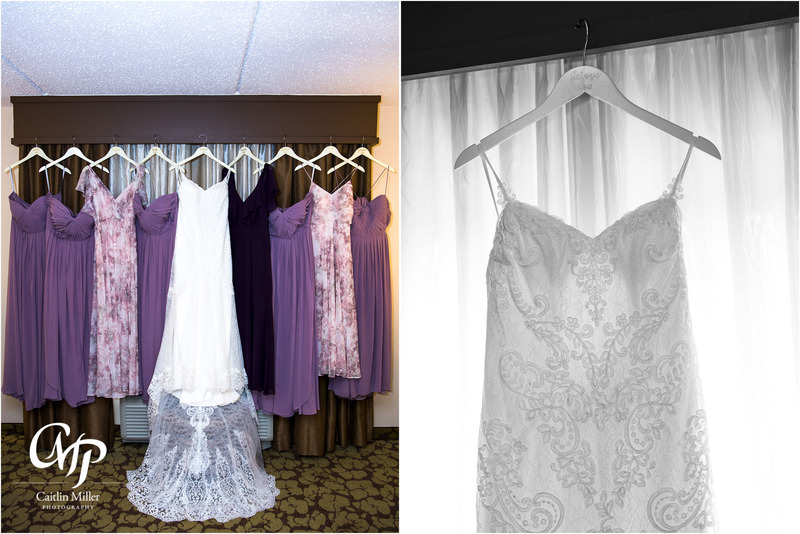 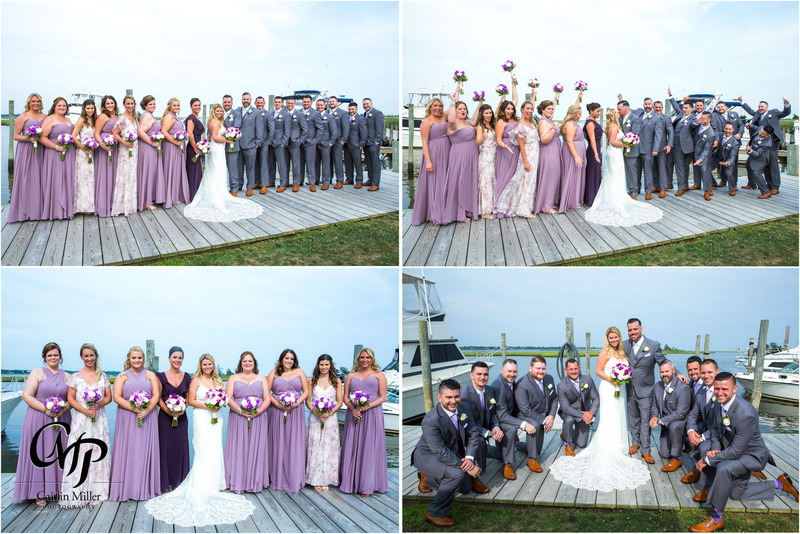 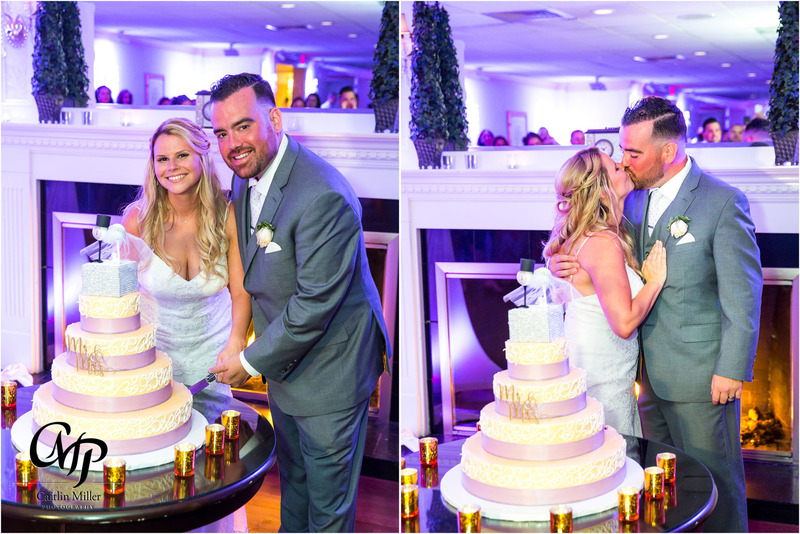 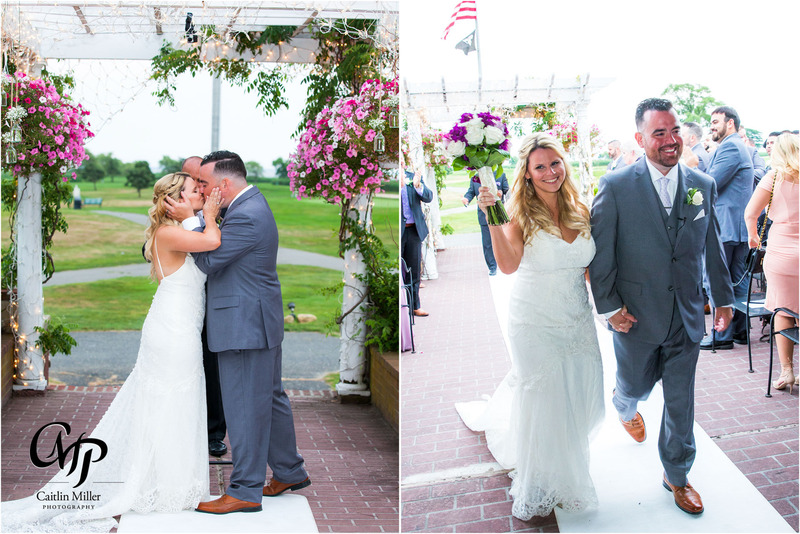 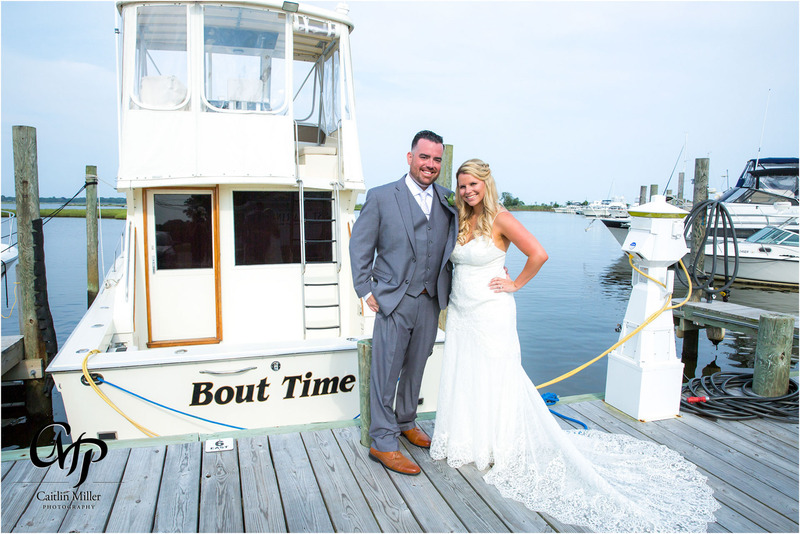 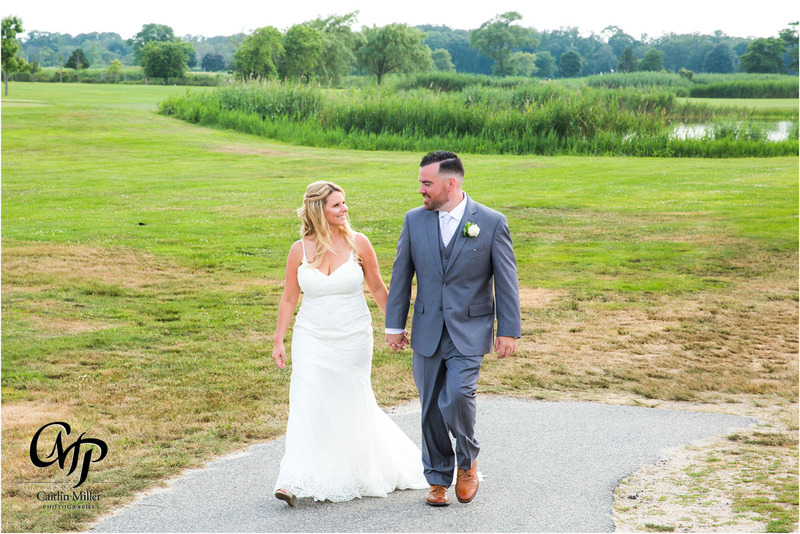 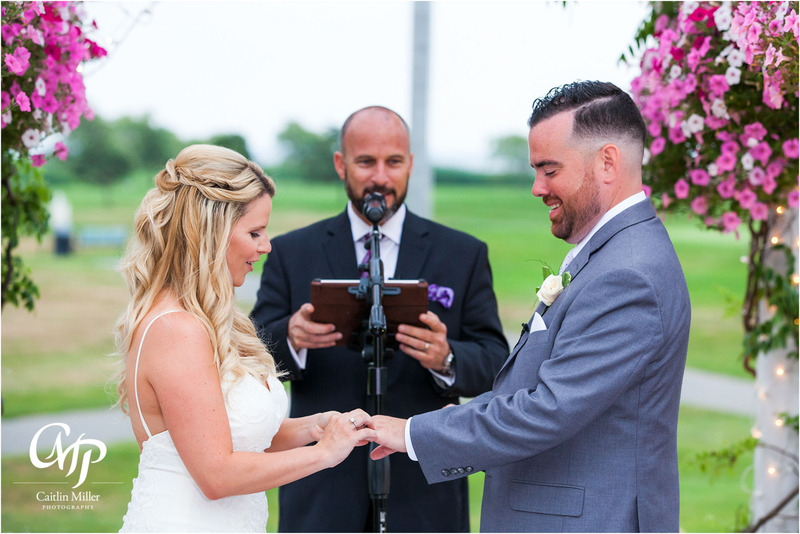 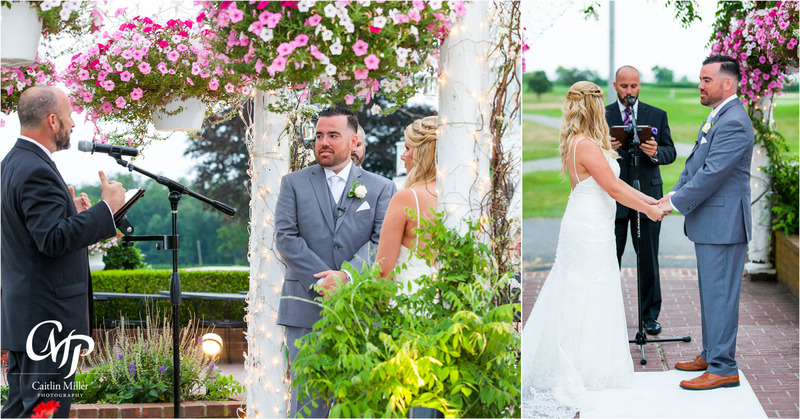 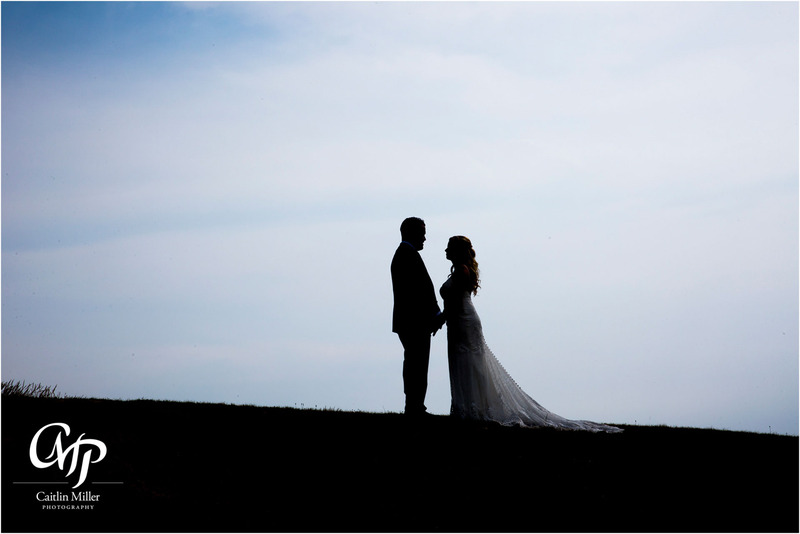 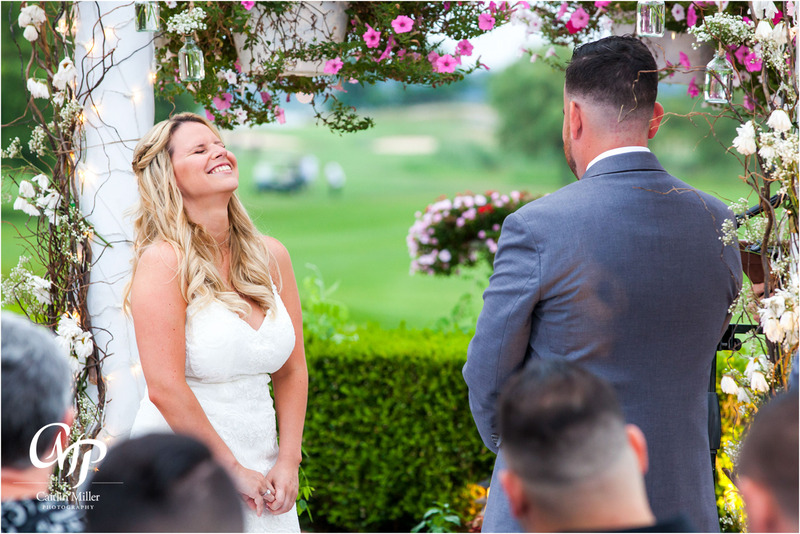 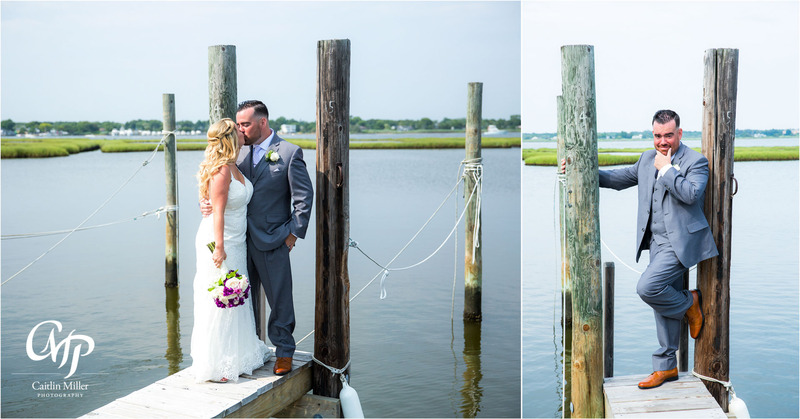 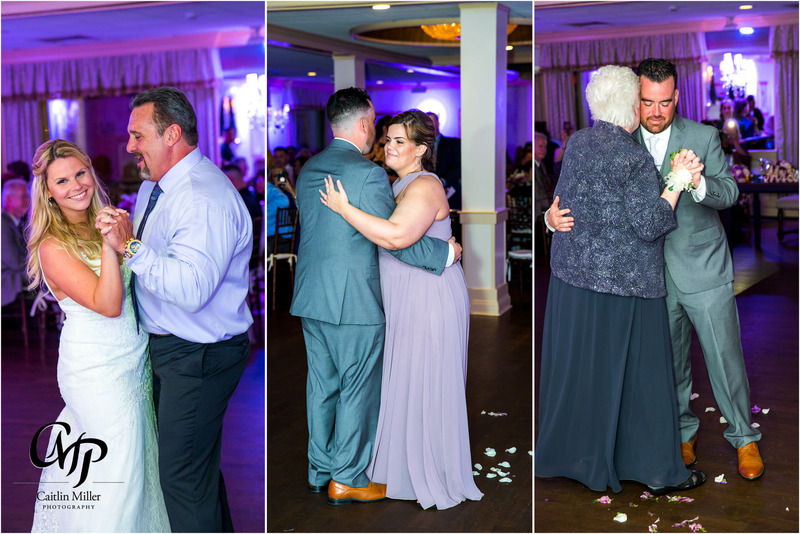 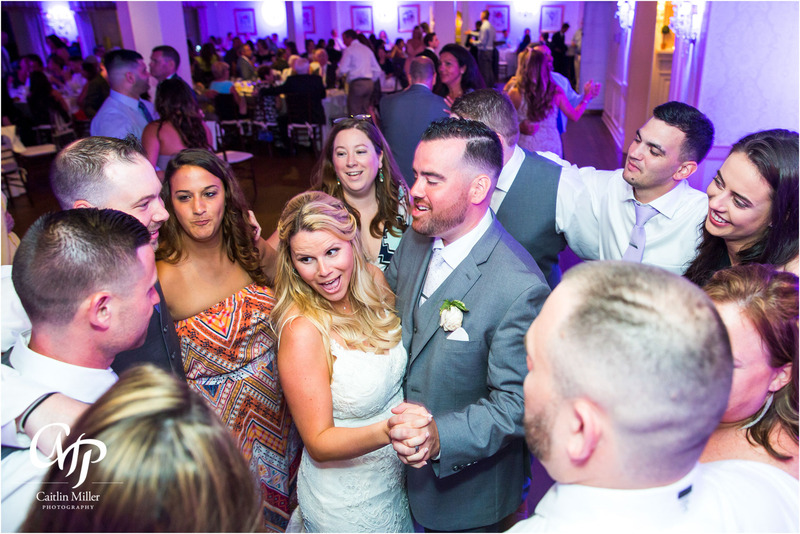 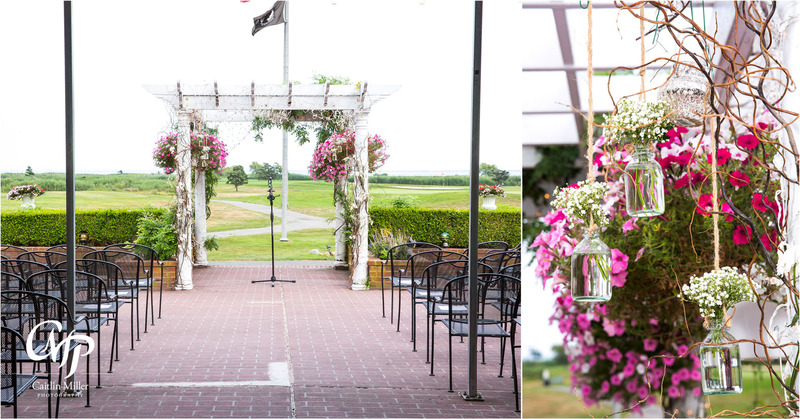 The Mansion at Timber Point in Islip, NY set the perfect background for this awesome couple’s wedding this July. 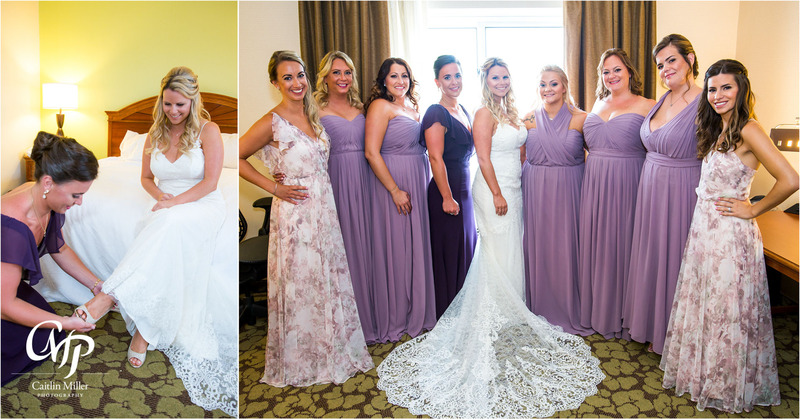 The bride Stefanie and her bridesmaids got ready at a nearby hotel, while Mike and his groomsmen swam in the hotel pool. 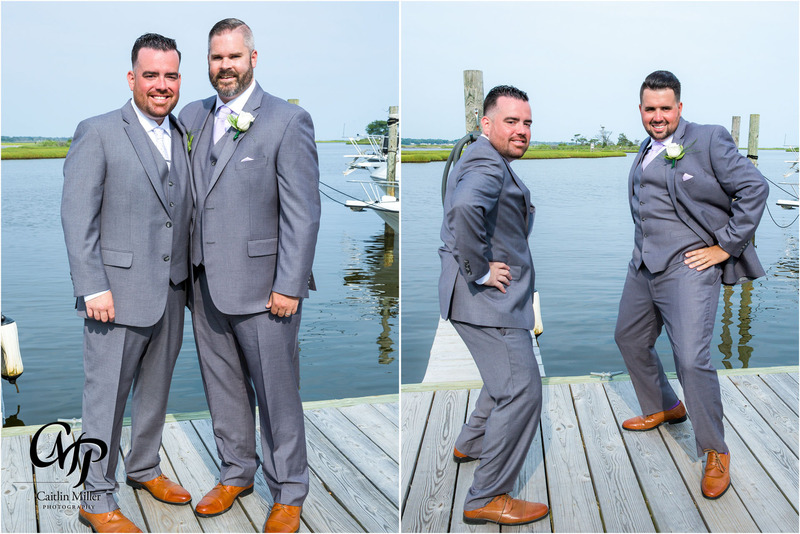 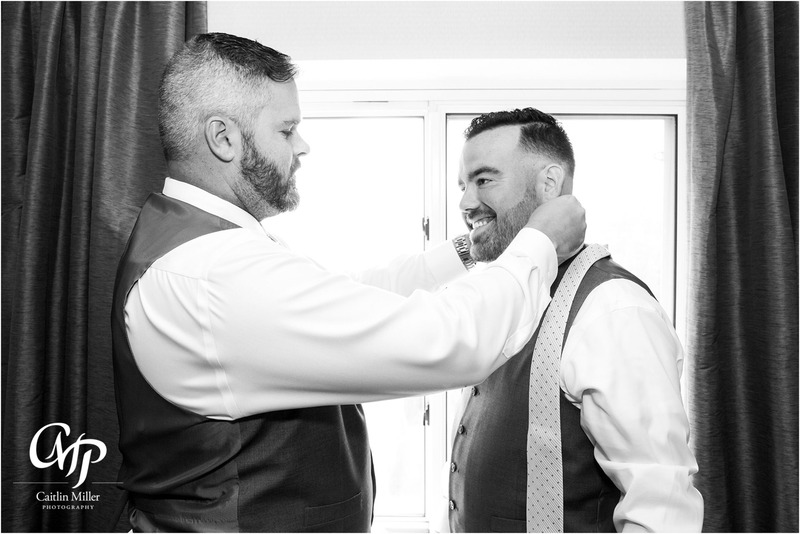 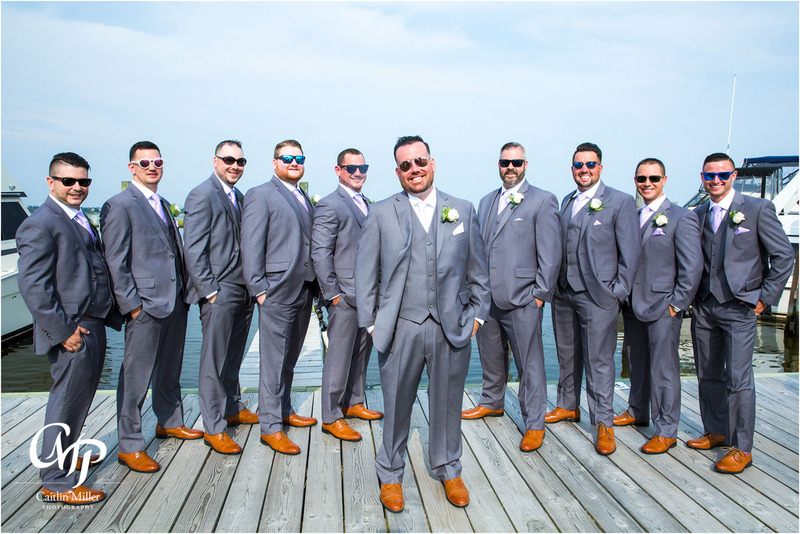 The boys took some fun groomsmen photos (including a “bud light shower” photo) before donning their formalwear and heading to the Mansion at Timber Point. 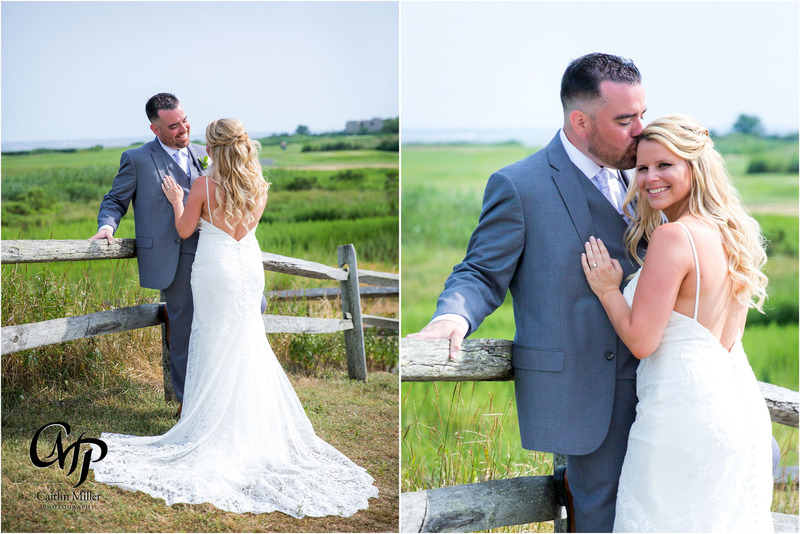 Stefanie slipped into her beautiful designer lace gown before heading to the marina at Timber Point for her first look with Mike. 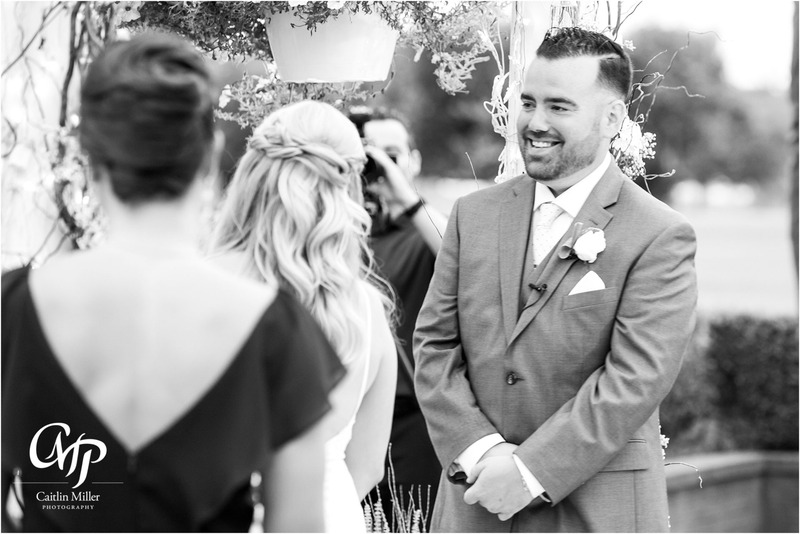 Mike was all smiles (and a few tears) as he saw his soon-to-be wife. 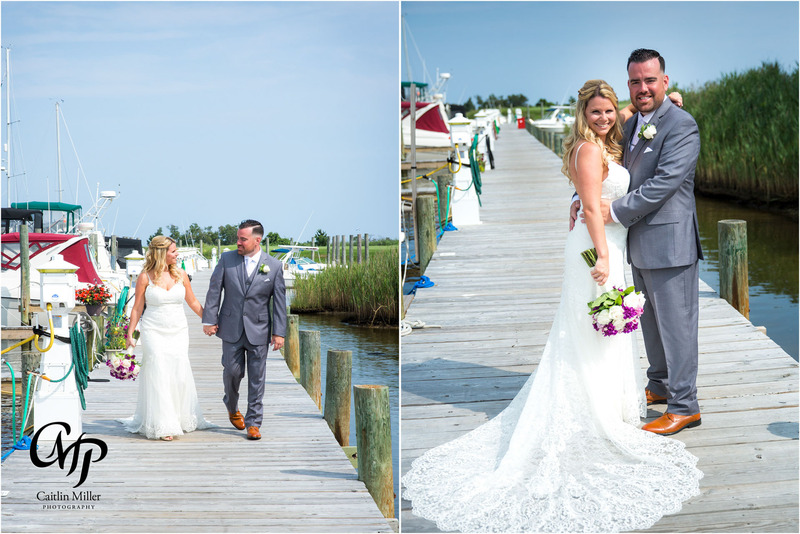 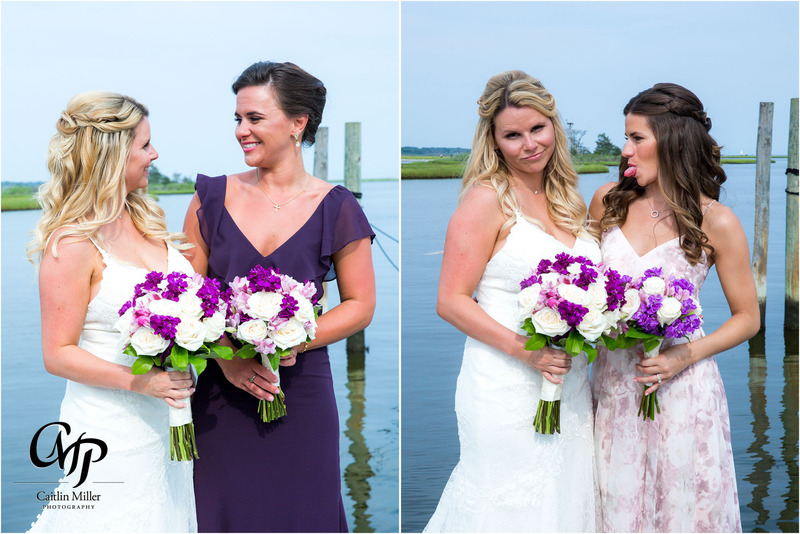 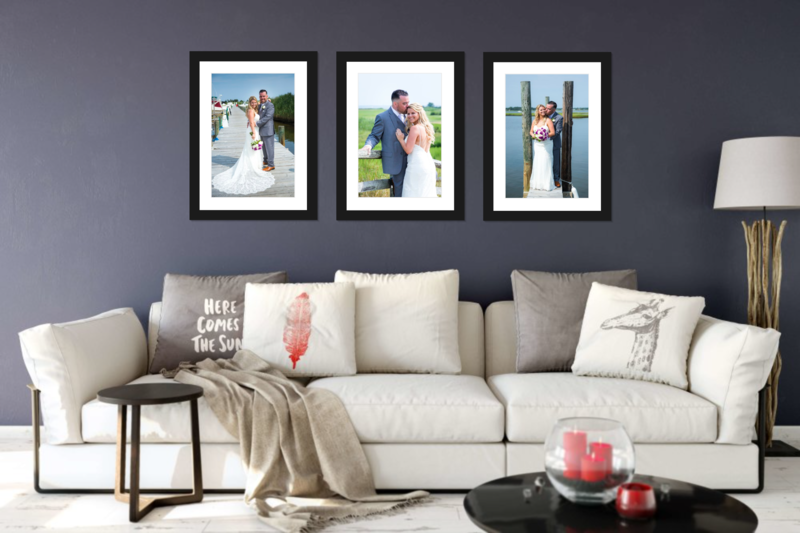 Sweet couples photos followed around the marina and golf course before the couple was joined by their fun bridal party. 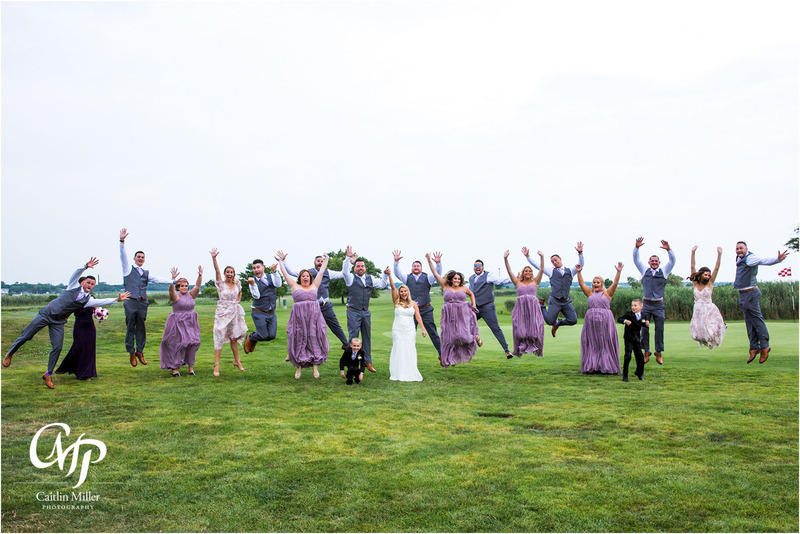 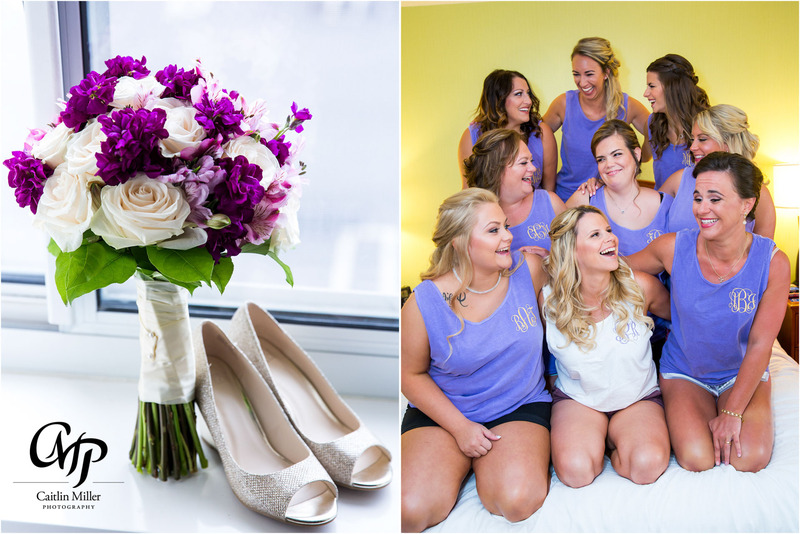 Bridal party and family photos followed, with many laughs and jokes. 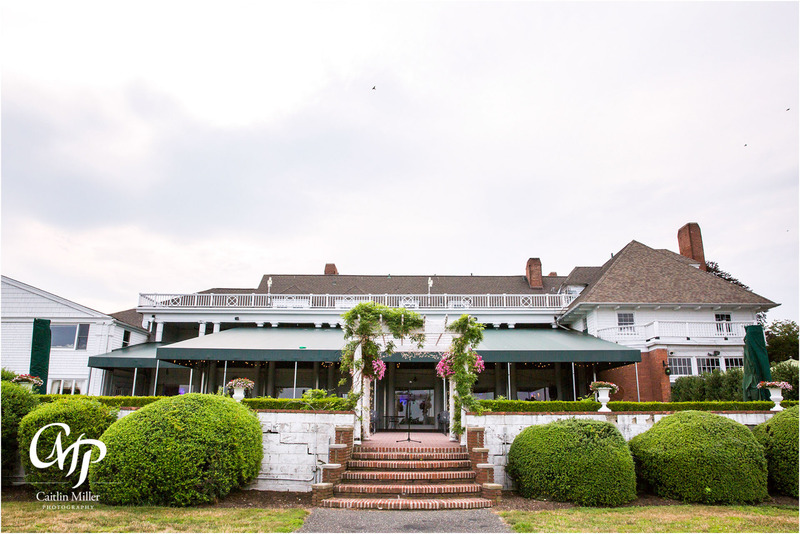 A short and sweet ceremony on the deck of the Mansion at Timber Point made the marriage official and the couple joined their guests for a beautiful cocktail hour provided by the venue. 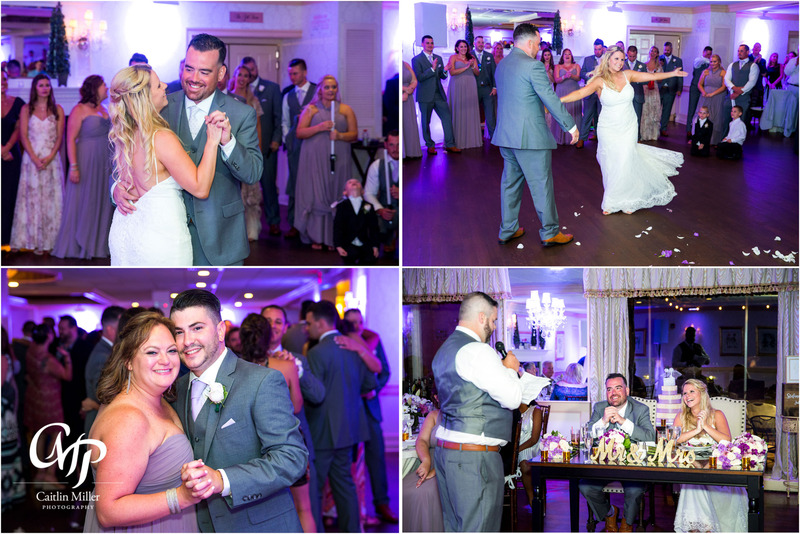 The DJs from Absolute Entertainment welcomed guests into dinner and the reception, which began with dramatic entrances from the bridal party and the newlyweds. 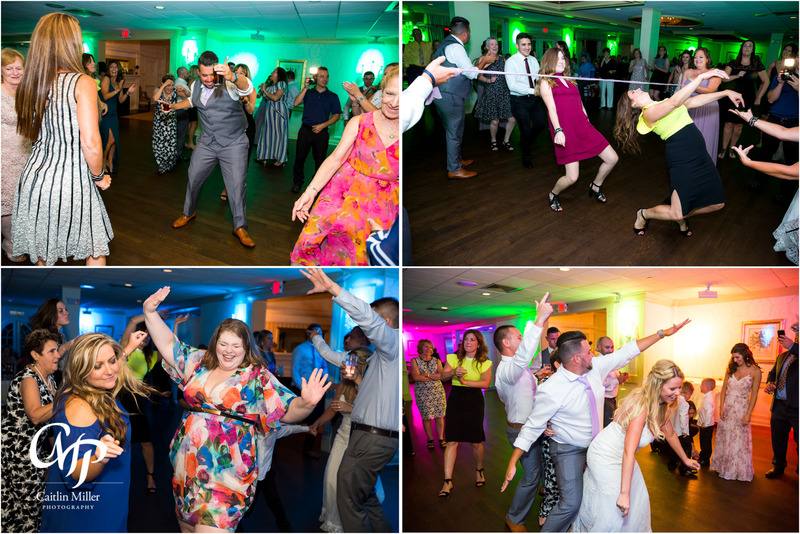 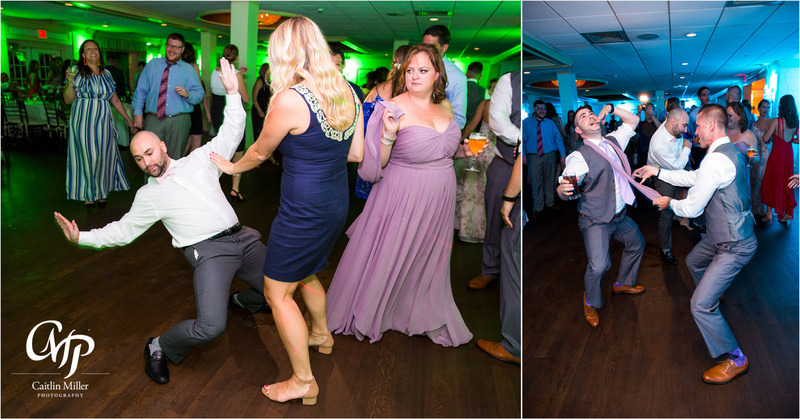 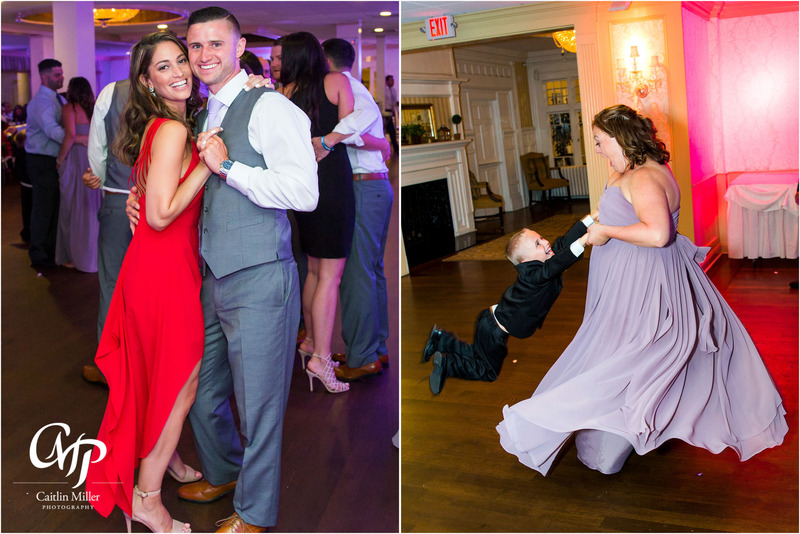 Guests danced the night away to music provided by Absolute Entertainment, while Stefan from White Diamond Videography captured the awesome dance moves on film. 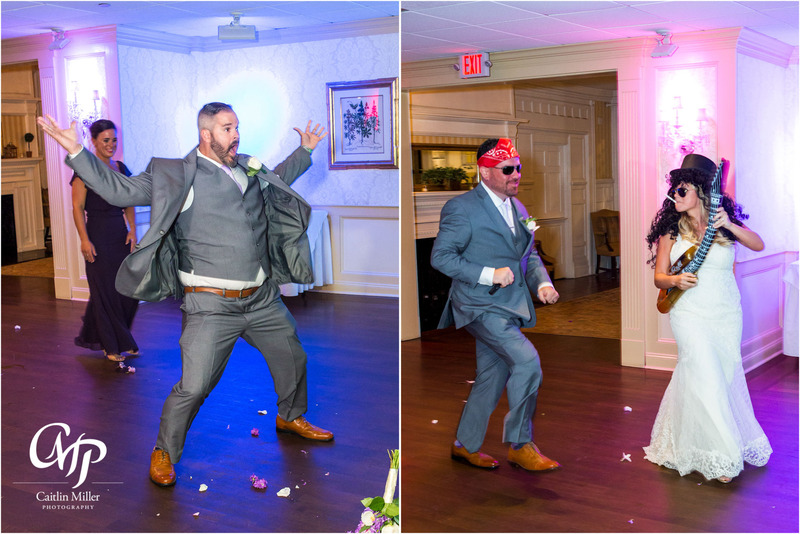 Congrats and best wishes to this fun loving couple!